Older adults are more likely to experience pain than the general population but they may be less likely to be treated for it. The most common reason that pain in elders is under treated is that it is under reported. Many elders consider pain a natural consequence of aging – something they just have to live with – and don’t report it to their doctors. Untreated chronic pain puts a great deal of stress on the body and on the individual’s emotional health as well. It can lead to depression, anxiety, reduced mobility and strength, and loss of appetite and sleep. Chronic pain in elders can be caused by a wide range of factors. It is most frequently associated with musculoskeletal disorders such as arthritis and degenerative spine disorders but may also be linked to conditions such as cancer, shingles, circulatory problems, and fibromyalgia, or may result from damage to nerves or the central nervous system. The first step for an elder suffering persistent pain is to have a doctor determine the source of the pain. It is important to see a doctor who is familiar with pain assessment and treatment in elders, since the approach to pain management is different in older people than in the general population. For less intense pain, I first recommend non-pharmacological steps like ice packs, physical therapy, and exercise. When pain relievers are called for, I recommend the progressive guidelines recommended by the American Geriatric Society. Pain can be effectively managed in elders and pain relievers are safe for these patients, but they must be prescribed cautiously, since older people metabolize medication differently, are more prone to side effects, and may suffer complications from interaction with other medications. For these reasons, doctors often start their older patients on the lowest possible dose of a pain reliever and increase the dosage only as necessary. The American Geriatric Society classifies pain relievers in four groups: non-opioids, including acetaminophen and nonsteroidal anti-inflammatory drugs (NSAIDs); opioid analgesics; adjuvant drugs; and other medications. Non-opioids: Acetaminophen (Tylenol) is generally the first choice for pain relief in elders, particularly for arthritis and lower back pain. While there is some risk of liver damage with long-term use at high dosages, acetaminophen is the safest pain relief option. NSAIDs (aspirin, ibuprofen, naproxen) may be more effective for inflammatory pain but pose serious risks of gastrointestinal bleeding and cardiovascular complications. Dr. Landsverk recommends avoiding them. Opioid analgesics(acetaminophen with oxycodone, hydrocodone, and stronger opioids such as sustained release oxycodone and morphine): The devastating effects of opioid abuse and addiction are well known. However, the risk of addiction is very low in older patients with no current or past history of substance abuse. But the side effects of opioids – particularly over-sedation and constipation – can be serious in elders and usage must be carefully controlled and managed. 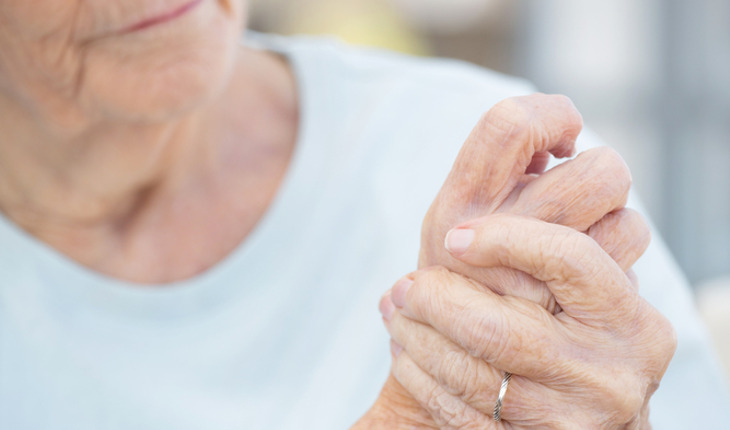 With cautious use, regular follow-up, and a thorough discussion of the risks and benefits, opioid analgesics can be safely recommended for some older patients with chronic pain. Adjuvant drugs are those that were developed for other purposes but have been found to be effective for pain relief. These include some antidepressants and anticonvulsants such as gabapentin, which has been beneficial in relieving neuropathic pain. Other medications used for pain are based on anecdotal evidence and limited clinical studies but have been found useful. Corticosteroids, muscle relaxants, and topical analgesics such as lidocaine fall in this category. There are many treatment options for older adults suffering from chronic pain, And there are lifestyle factors that can also mitigate its effects. The most important is to stay active – mentally and physically – to the maximum extent possible. It may seem contradictory but studies have shown that activity shifts the patient’s focus away from the pain and makes it more bearable. Another important factor is communication between patient and family, caregivers and the medical team. Keeping relationships open and talking honestly about pain helps avoid misunderstandings and prevents the patient from feeling isolated and alone in dealing with the challenge of chronic pain.